Denny Jump (Bellevue, WA, United States) on 23 November 2014 in Abstract & Conceptual and Portfolio. It's not even gone yet.... not really! Still, I dream about Autumn....It has that kind of impact. superb tonal contrast between the colourful leaves and the white bark of the trees! A fantastic image! The white trunks pop beautifully out of the yellow leaves. Wow Denny, this is just gorgeous! 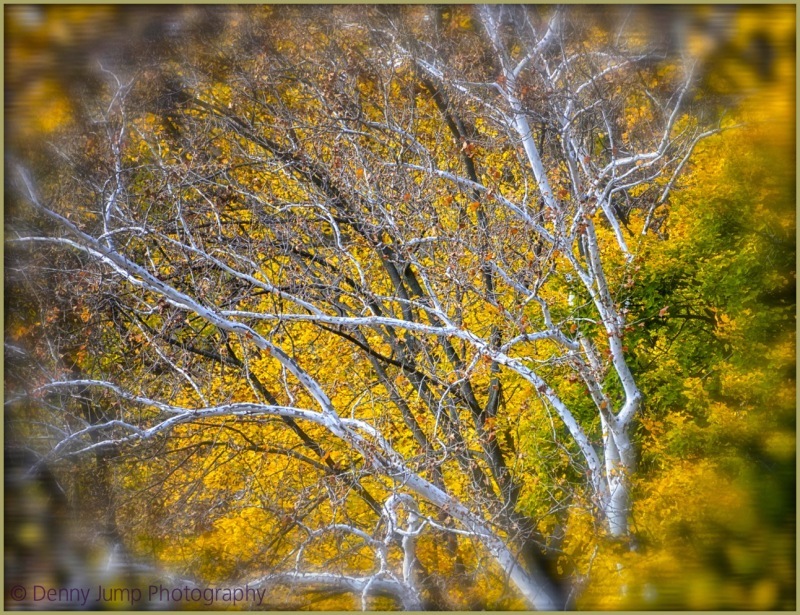 The white barked trees with the brilliant yellow is fantastic! 5*s! very elegant. i love the juxtaposition of the barren trees with the gold leaves. wow, this is gripping, denny! the skeletal branches of that tree add an eerie contrast to the brilliant and lively autumn colours behind it ! Gorgeous and a very beautiful presentation ... love the autumn colors! Great work, Denny!